Women in India will finally get the chance to work as makeup artists in the film industry after sixty years of exclusion. The country's Supreme Court said Monday that it wouldn't allow this "constitutionally impermissible discrimination" to go on. The Indian Express newspaper reports that the country's film industry only allows men to become makeup artists. Women are classified as hairdressers, the newspaper said. The Cine Costume Make-up Artists & Hair Dressers Associations, the union that represents makeup artists, says the rule exists to ensure men aren't denied work. I know what you're thinking, and I also do not understand why women would have to be excluded in order to prevent men from being denied work. That's probably because it doesn't make any damn sense. Charu Khurana brought her case to India's Supreme Court after the union rejected her request for a makeup artist card in 2009. She was joined by eight other women in making their case to the court. 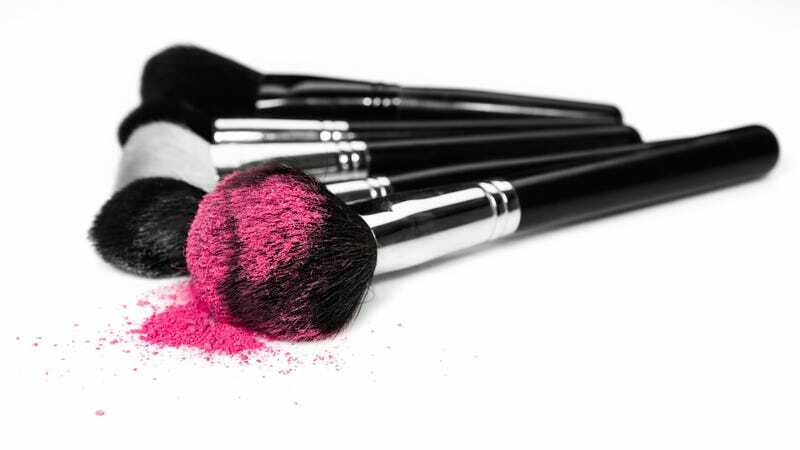 Female makeup artists have reportedly been relegated to working primarily for weddings and fashion shows and were even snuck onto film sets and hidden in order to be able to do their jobs. Now, really, if that isn't the most arrogant displays of male waywardness I don't know what is. It seems like a bunch of men were worried that women were going to dominate the makeup artists industry and they took steps to ensure that they wouldn't have to compete against them for positions. Excluding women from that opportunity in order to protect male egos is asinine. "You better delete this clause on your own. Remove this immediately," a two-judge panel wrote. "We are in 2014, not in 1935. Such things cannot continue even for a day."